If there’s an area in your house that you feel is significantly lacking, the good news is it doesn’t have to remain that way. Even if you’ve thought about interior design ideas but haven’t been able to come up with any that you like, the truth is there are plenty of options. All you need to turn this lackluster space into a vibrant spot is a spark of inspiration. To help get your creative juices flowing, let’s look at five ways to add the spice that’s missing. Don't be intimidated by a blank canvas. Light tan or similarly colored walls with nothing on them are a sure sign of a space that’s not going to make anyone say “wow!” One option to consider is actually painting the walls. Keep in mind that bright colors aren’t always necessary. Utilizing patterns or textures can also work very well. Another option is to find items that you can use to decorate the walls. The Internet makes it very easy to find great pieces of art that don’t cost a small fortune. Even if you don’t consider yourself an art person, you can still pick out some great prints to add personality to your walls. One reason a space may seem dull is if it doesn’t have a clear purpose. If it’s just “that room,” the solution is to find something to do with it. You can make it a reading room, entertainment spot or home office. If you choose the latter, be sure to invest in a few quality office chairs. Having chairs that you actually like will ensure that you want to spend time in this room. And if you end up doing quite a bit of work in there, good chairs will prevent problems related to posture. Many spaces just need something to visually pull them together. 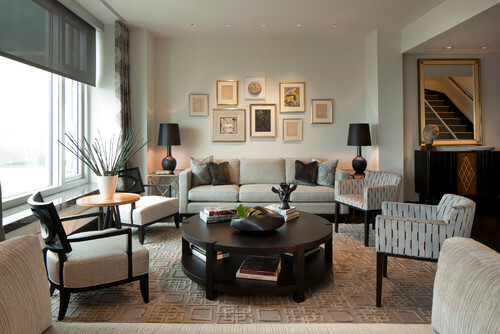 Once a focal point is established, it suddenly becomes much easier to create a great design scheme for the entire room. 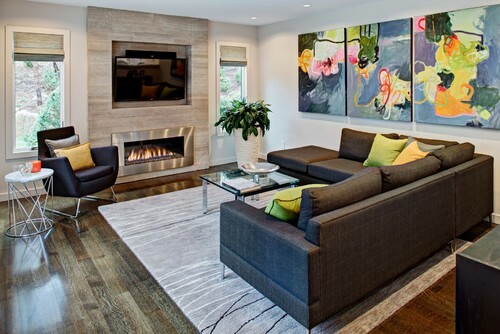 Thanks to their size and variety, rugs work very well as the foundation for a room’s design. Not only do they provide lots of different options, but they do so at a very attractive price point. Make the rug the focal point of the room. 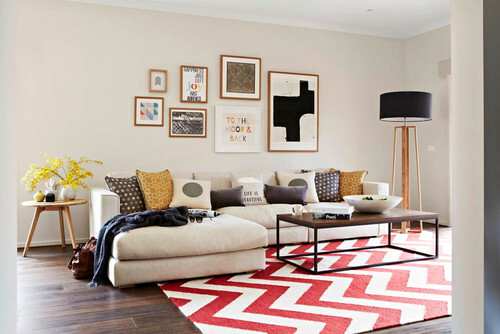 Adapt the Look: Chevrons are a great centerpiece. Multiple studies have shown that putting live plants in a room improves air quality and can even brighten the moods of the people who live there. Another cool thing about using plants is that they’re a design element that you can change throughout the year. Adapt the Look: It's not often you find the exact same items you've seen in a magazine or on Pinterest without an all out research project. Taking the characteristics of the piece and looking for those rather than trying to duplicate is easier, faster, and makes the look really your own. It's your one of a kind life right? So don't copy - make it your own. 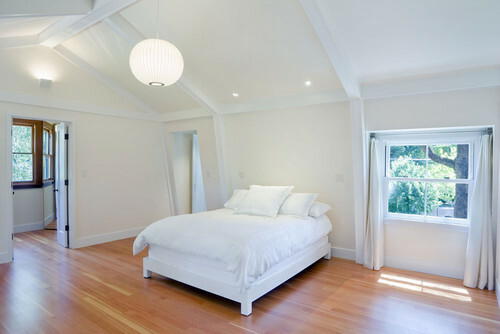 Try any one of these tips to enhance your living space. Take a risk. Sometimes it takes trial and error, but in the end you and your family will be glad you did. You can find many great ideas for your home decor on our Facebook Page and Pinterest Boards. Adapt the Look: Subtle organic stripes add visual interest. Guest post by Adrienne Erin, a blogger interested in interior design. She loves trying new things in her own space and sharing her successes with others. Read more of her work by following her on Twitter: @adrienneerin. Your hints on how to bring a dull spot to life are very inspiring! I’ve always believed in the power of plants, and like the idea of using a rug to create a focal point in a room! I love MCM decor and your What Rug? posts. ;) So happy that white walls are back en vogue.